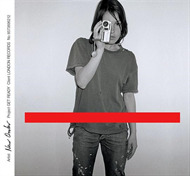 CD au 2001 London Records / Warner Music Australia 8573 89621-2 Get Ready AU was released in limited quantities with either a promotional t-shirt (white & red) or an 11-track promotional video (New Order- The Videos). CD de 2001 WEA/London 8573 89621-2 Sold at HMV and comes with a 16-page booklet with a complete discography. Promoted with a flat card, PROP 05229. CD fr 2001 Warner Musique France 8573 89621-2 Available on FNAC as a limited edition of 2000 in combination with comic booklet. CD kr 2001 Warner Korea ??? 1-11 New Order Run Wild Steve Osborne Original Mix 4:11 Labeled "Full Circle (Not Final Mix)"
1-10 New Order Run Wild Steve Osborne Original Mix 4:11 Labeled "Full Circle"
1-11 New Order Someone Like You US Advanced Promo Version 6:39 Labeled "Freefall"
Dedicated to the memory of Rob Gretton. Female on the cover is german actress Nicolette Krebitz. What's the title of this new album? Peter Hook: "The title of the album is 'Get Ready' so it could mean anything or nothing. I thought it was just nice, New Order, 'Get Ready', 'cos we are, we're getting ready for the next phase of our musical lives both physically and mentally so it's quite a simple thing but it's very pertinent." Published by Vitalturn Co. Ltd. PRS. All rights on behalf of Vitalturn Co. Ltd.
PRS administered by WB Music Corp. ASCAP. All rights reserved. Produced by Steve Osbourne for 140 db except track 07 produced by New Order. engineers Bruno Elllingham and Andrew Robinson, programmer Pete Davis except track 07, Mark "Spike" Stend, track 01 engineer and protools Jan "Stan" Kybert assisted by Matt Fields and David Treahearn, tracks 02, 03, 04, 05, 06, 08 and 10 mix engineer Adrian Brushby, track 09 mix engineer Paul "P-dub" Walton, track 07 additional production by Flood for 140db engineer Rob Kirwan, mixed at Pulse Studios Ireland assisted by Owen Mulcahy, track 10 additional production and mix Bernard Sumner engineer Rob Kirwan, track 10 strings arranged and conducted by Simon Hale, tracka 10, 09 and 10 backing vocals by Dawn Zee, track 03 special guest vocals by Billy Corgan, track 07 guest vocals by Bobby Gilespie and guitar Andrew Innes. Studio assistants: Marco Migliari at Real World, Tom Hannen at Sarm Hook End and Bruno Ellingham at Rockfield, mastered by Tim Young at Metropolis Mastering, Cover art direction Peter Saville, photography Juergen Teller, with thanks to Coco, design Howard Wakefield and Sam Roberts. Album Mixes US Promo Front Cover.